Stamp Whisperer: Tag Your it! “It” being the demonstrator with the answer to all your customers’ needs, of course! This is the perfect craft for this giving time of year: gift tags! 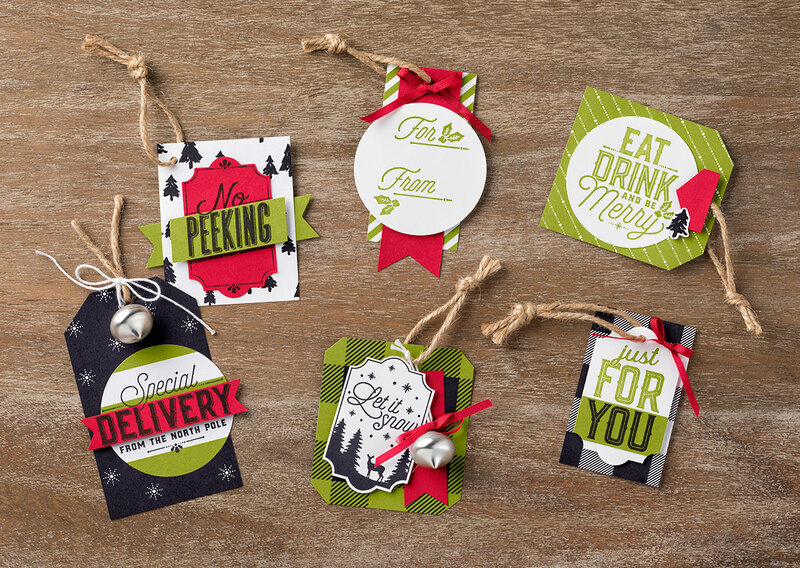 Gather your customers and have them make these tags using the Merry Little Labels Bundle. You could have them make two, three, even five of each style, depending on how you organize your class. You could even include the bundle in the class fee, and everyone can make tags together and share in the seasonal cheer. Your customers will leave the class with as many as 30 completed tags, and the bundle—setting them up to have their Christmas labels ready—and waiting to create more. Labels: Merry Little Tags, Stampin' Up!